Secrets of the Stock Industry Revealed! Secrets of the Stock Industry Revealed!Secrets of the Stock Industry Revealed! Would you like to know some of the secrets of the stock industry that will make you stand out amongst the rest? Do you want to have a reputaion with the Reviewers? Are you looking for a certain kind of success with your images? Do you want to make a huge impact on your earnings? Well, look no further, this blog will tell you everything you need to know. Stock is all about the image. Therefore, who you are in stock is defined by what you submit. And that's the question: What kinds of images should you submit? What will set your portfolio apart from the rest? What can you do to be noticed by the Reviewers? Better yet, what will convince Buyers that they should use your images? I have created a list of images that you should seriously study. Once you have studied this list, I will gurantee that you will learn much about the stock industry and how to be successful! Let's get started! (1) Stack Of Coins: Yes, boys and girls, what says "Business" more than a pile of coins? And it's so easy to do! Grab a bunch of coins from the jar and stack them! You can add to your portfolio too by making random piles and then shooting them at a distance and up close. (2) The Isolated Tomato: Reviewers tell me they have literally peed in their pants when they have the honor of Reviewing a well executed image of a tomato. Reviewers live for this kind of image! They can't get enough of them! Here are some special hints you will never see revealed by the pros: Set up your tomato and take a picture. Actually, you should take about 40-50 pictures so you can sort through them for the best one. Then rotate the tomato 15 degrees and shoot another set of images. Keep doing this until you have rotated the tomato a complete 360 degrees. This will give you many images to add to your portfolio but there is a bonus: Since you don't know what kind of space the Buyer will use, repeat the above process again but shoot the tomato in a PORTRAIT view. Trust me, the Reviewers will be talking about you for weeks after you submit this series of images! (3) Blue Sky and Clouds: No portfolio is complete without an image of Blue Sky and Clouds. The secret here is clouds are great metaphors. Since a cloud can look like a duckie or a horsie you have unlimited potential. Keep shooting clouds until you have just about every object covered. It's hard to find a cloud that looks like a plate of spaghetti but the stock world will sing songs of praise for you if you do capture one! I'm sure the Reviewers love to spend hours looking at cloud pictures and imagining what each cloud looks like. Be warned though, there are Reviewers with no imagination; you may get rejections because a cloud just looks like a cloud to him. You'll have to accept the fact that some Reviewers can't see how the cloud represents a doctor removing a spleen. (4) Pretty Girl Smiling: The stock world can't get enough of these images! In the stock world it's all about finding warm bodies who will sign a model release. A portfolio with nothing but girls with a grin on their face is a gold mine! (5) Pretty Girl Smiling With Cell Phone: Need I say more? (6) Pretty Girl Smiling With Laptop: Are we seeing a theme here with the last few examples? You can bet the Reviewers are screaming "More! More! I want to see another image of Girl-With-Laptop!" That's because Buyers are tripping over themselves to buy these types of images. If you want to set yourself up for early retirement, quit your job and spend a year photographing nothing but girls using laptops or cell phones. It would take a year to cover all the possibilities such as using the cell phone in the left hand, the right hand, wearing a pink shirt, a white blouse, etc. The market is no where close to being saturated with this subject so you should be focusing all your energy on these types of scenes! I could go on, but if you read the entire blog then you're beginning to see the point. I will stand by my promise: Follow the stock secrets above and you will definitely be noticed by the Reviewers, stand out in the stock industry, and impact your revenue! I hope this has helped. It's now time for me to photograph Man-With-Hard-Hat-Eating-Salad-With-Pencil. My first tomato photo is accepted! Luckily the Chinese farmers didn't call the ambulance when I rotated around this pile and made a complete 360 degrees shooting from each degree - with flash, without flash and happily jumping (:-. How come I missed this blog. No wonder my portfolio is not growing. Thanks very much for sharing these wonderful tips and yes, I love the 'Tomato' part....lol. You've made my day!! Is a very interesting blog, thanks for the tips! Fantastic !!!!!!! Finally, the secrets of stock photography fully disclosed !!!!!! I love it !!!! you made my day !!! now I have to take 360 photos of tomato ! Great blog! I have to hurry up: tomatoes are going to go out of season ;) ah,ah,ah! Great blog and very funny! There are blueberries, raspberries, raspberries with blueberries, some grape, etc. There are so many different kind of berries that it is not necessary to rotate them by 360 degree. LOOOL!! ;)))))) Great blog! Keep them coming! :) I'll go and shoot some clouds now. Okay, not now, it's night here, but maybe tomorrow. I never thought about different cloud shapes collection. I will do it. :) Thanks! Wisconsinart, in his sarcasm, has actually made a point. He's a photographer and not a graphic designer so he can not really understand that there is a nearly constant need for fresh images in the areas he mentions. I, for example, have photographed blue sky with different configurations of cloud, many many times, for my own use, simply because I can't find the images I need in stock. How much money could Wisconsinart have made from me if he had those shots in his portfolio. Yuri Arcurs seems to specialize in shots of pretty girls with cellphones and laptops, but that's probably a bad example since Yuri struggles with success as well. I wonder how many readers will find this useful. Irony, that is not what we are used to here, are not we? 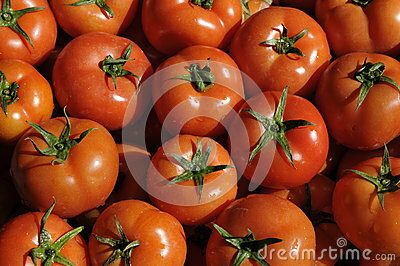 I's true, Editors love good shots of beautiful, fresh, juicy tomatoes! They even occasionally reward them with the prestigious Editors Choice award, and they actually sell really well! Ah, but the trick is to know how to shoot a tomato! And that's not given to everyone!